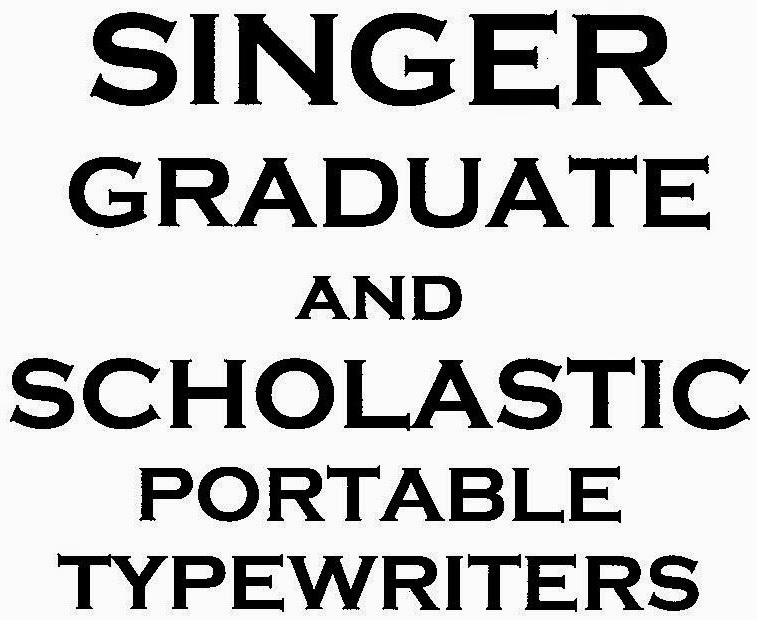 The Singer Graduate portable typewriter, a relabelled Royalite made for Singer by Royal in Leiden in Holland, arrived in Australia in September 1963 and was sold for 39 guineas (close to £41). By the time Australia switched to decimal currency in February 1966, that would have been close to, if not more than, $100. 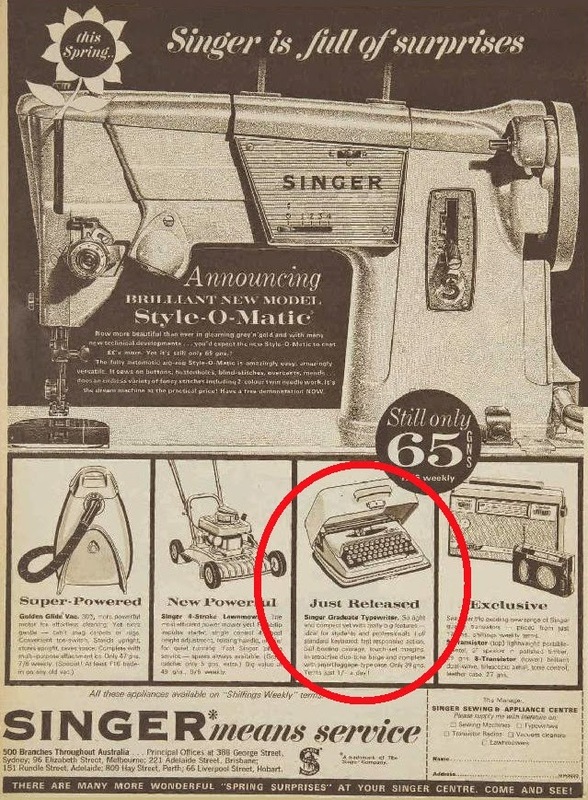 In September 1963, Singer was selling vacuum cleaners at 47 guineas, motor mowers at 49 guineas, transistor radios at 29 guineas and sewing machines at 65 guineas, so I guess the 39 guineas for such a neat and reliable little typewriter was pretty reasonable. 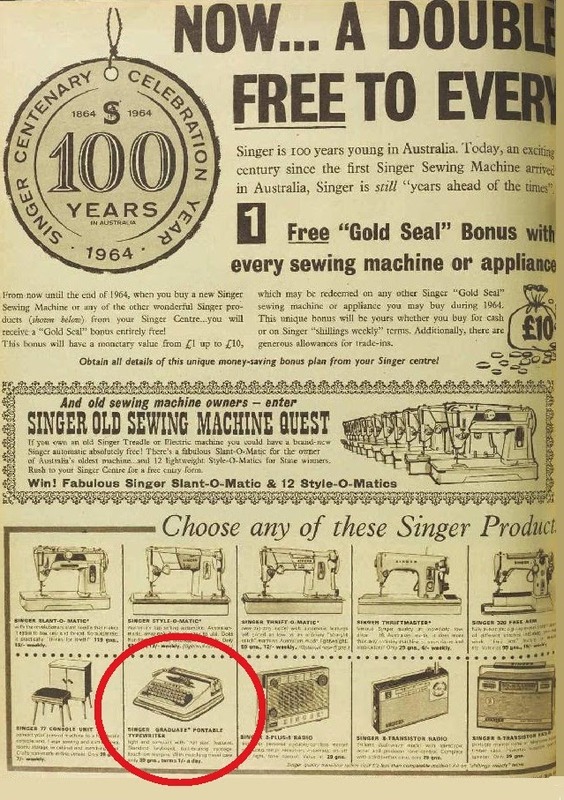 At about the time Brian Sarno asked me about Remington portables made in Den Bosch in Holland, a Canberra lady brought over her Singer Graduate for me to service. 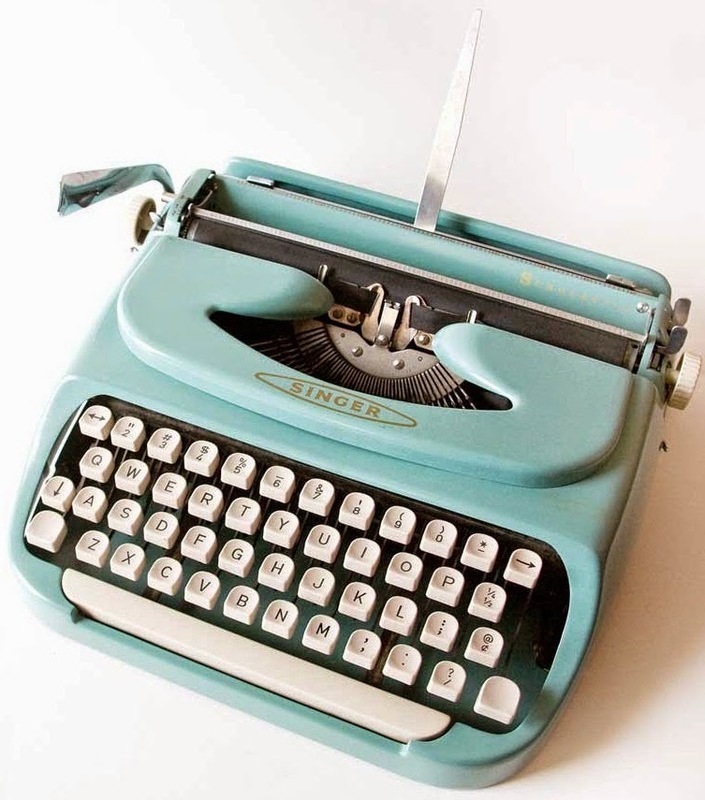 She had bought it for a mere $10 and was assured by the previous owner that it "hadn't been used for many, many years". The signs of some neglect were there, all right. Once I had taken it apart and cleaned the flora and fauna off the base plate and out of the mechanics, then cleared decades of hardened gunk from the segment slots, I was able to test type with the Graduate. And I was quickly reminded of how much superior the Leiden machines are to the Den Bosch portables. Factoring in size, weight and sturdiness, the quality of the materials used, the workmanship and the excellent mechanical (Halberg) and mask (Laird Fortune Covey) designs, and finally the typeability, the Dutch Royals are far, far better value for money than the Dutch Remingtons of the same period. 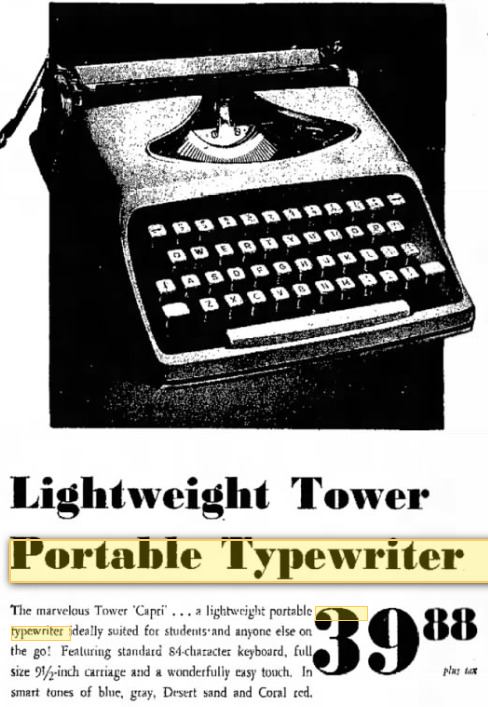 From time to time one can run into minor problems with the Royalites, such as the tight-fitting typebar clipping or getting stuck under the front part of the mask, and I have also encountered carriage lever breakage. 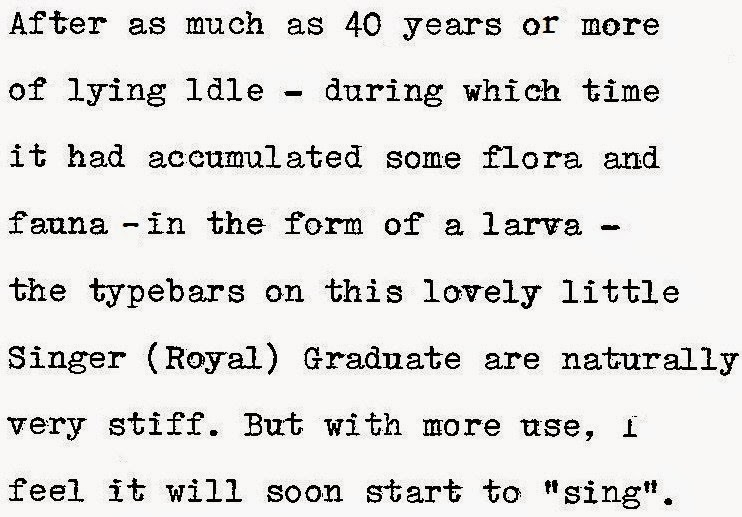 But those were freak things which resulted from a lack of care by owners, not the manufacturers. All in all, it's hardly surprisingly these Royalites sold so well - as they also did for Nippo as the Atlas. 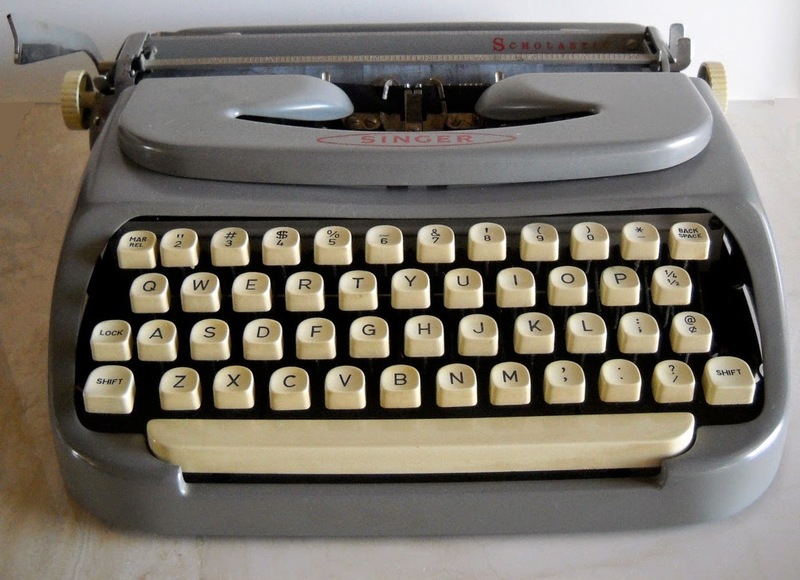 The keytops are close together, but at least they don't wobble around like the Remington keys. 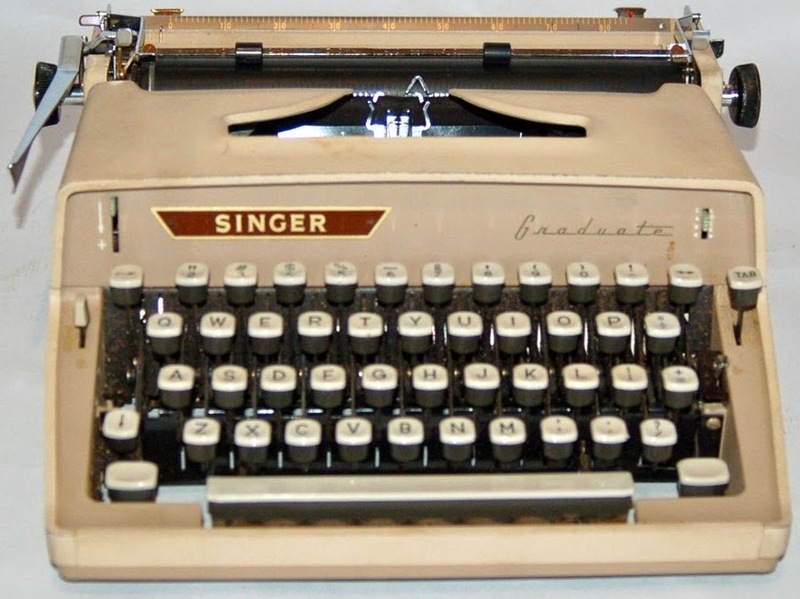 The history of the Singer Corporation and typewriters stretches back to the earliest days of typewriters in the mid-1870s, when Remington, lacking an established foreign sales network to match that of Singer, approached Singer to sell the typewriter overseas. 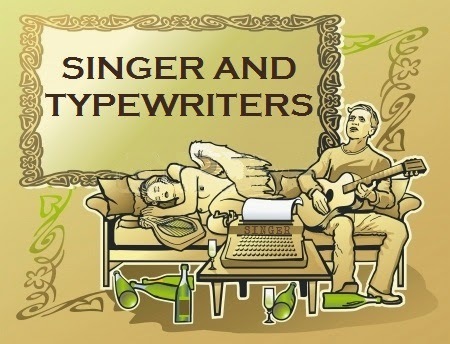 Singer refused. 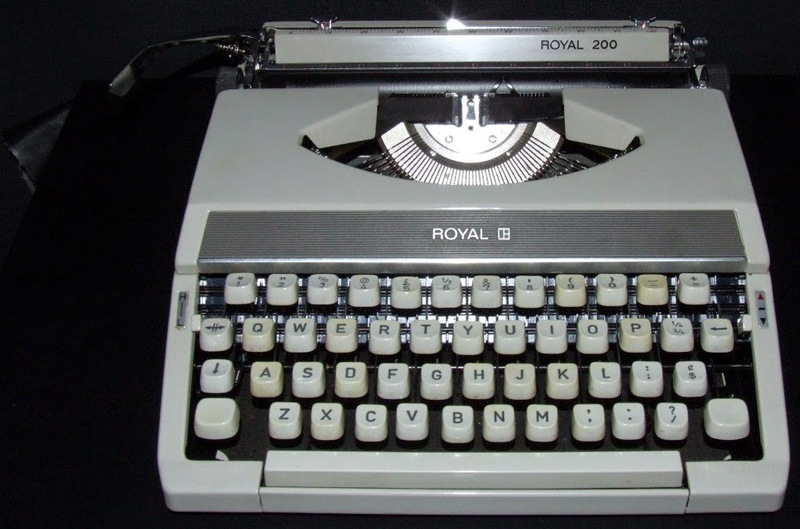 Given that at this time the Royal Diana was selling for the same price, at $49.95, a flimsy Dutch Remington or a solid little Czech Consul sold for $39.88 in the US, the then new Royal Futura 800 was $99.50 and Olivetti-Underwood portables ranged from $68-$98, the price of the Singer might have been seen as being slightly on the high side. The SCMs, also Scholastics, are simply awful - their prices reflected undue pressure placed on the manufacturers to reduce production costs to match Japanese prices, and a lack of quality control. 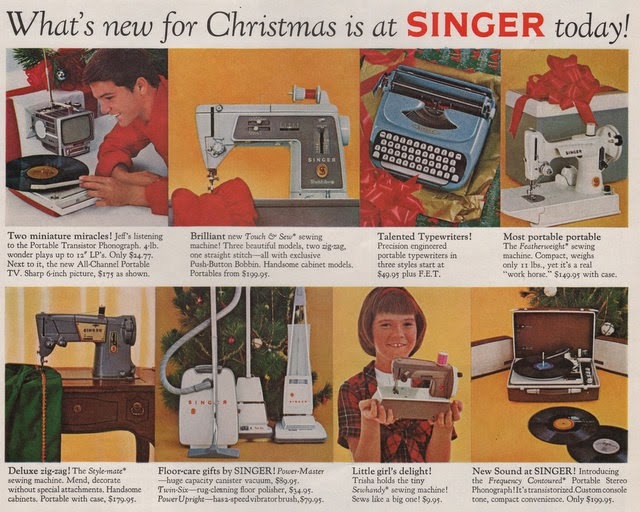 The Silver-Seiko Singer reached Australia for Christmas 1979 and sold for $99. 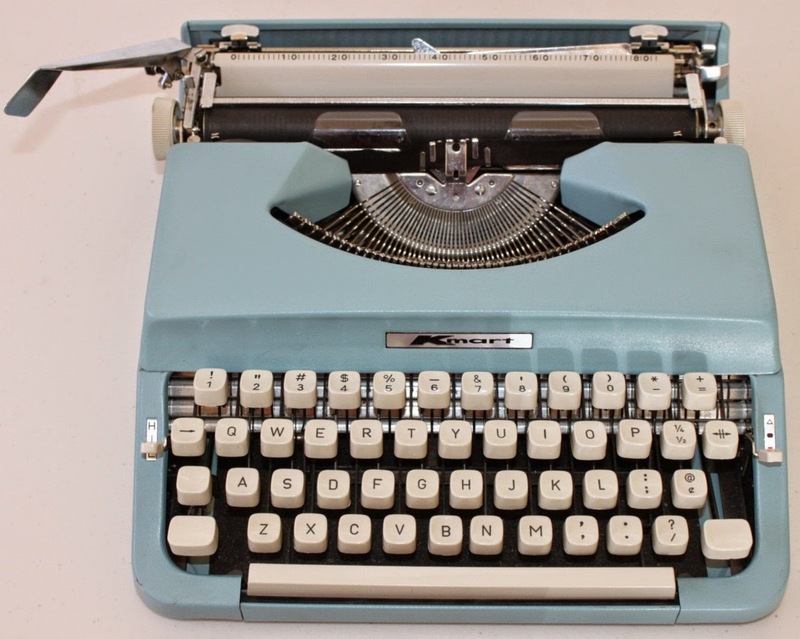 It was the same model which had sold as a Royal Mercury in the US - aimed at a pre-high school market - for under $50 in 1967. 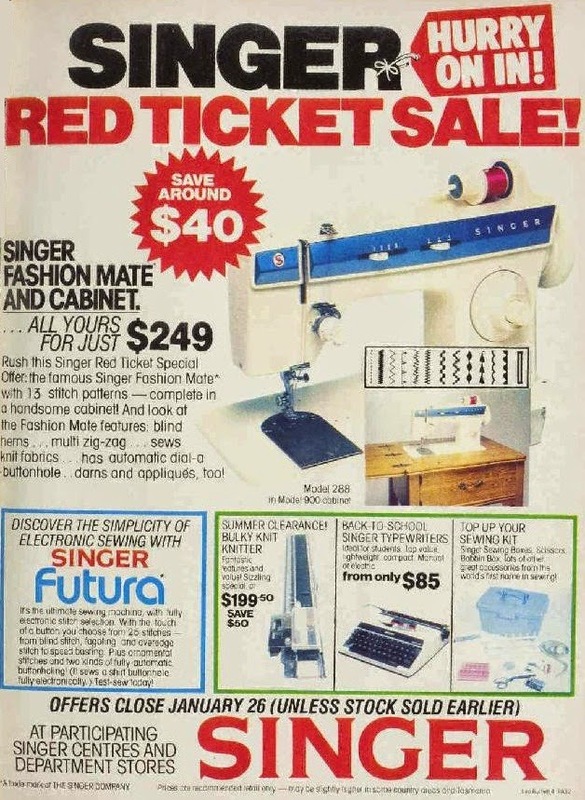 But in the late 70s in Australia, a Nakajima KMart sold for $55 and an Olivetti Lettera 32 for $135. 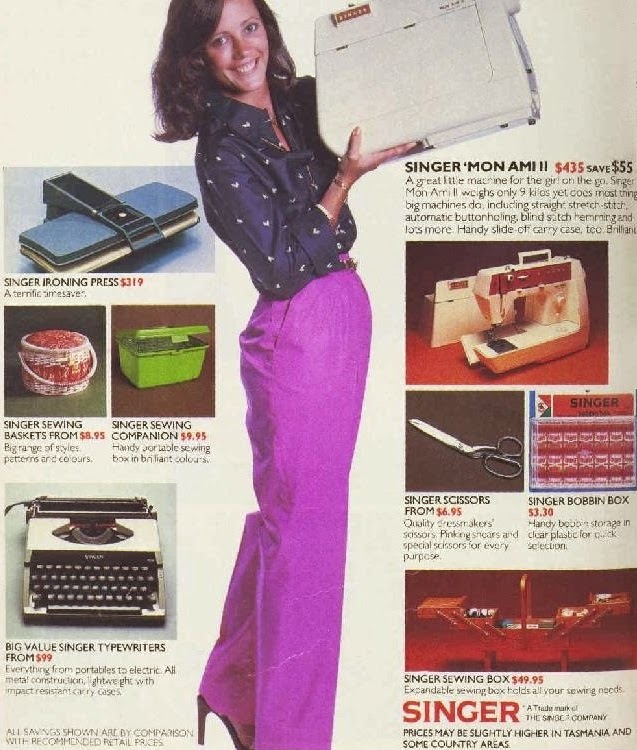 By early 1980 the price had dropped by $14 and the target market was, as in the US 12 years earlier, school children. Neat old ads. 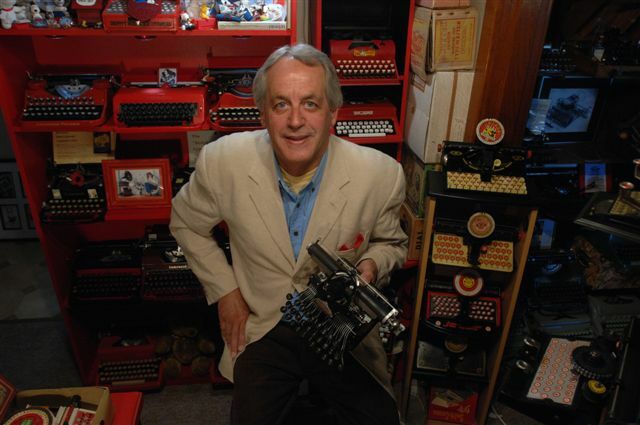 I wonder if the typewriters type any better than the Royals that were made in Holland. 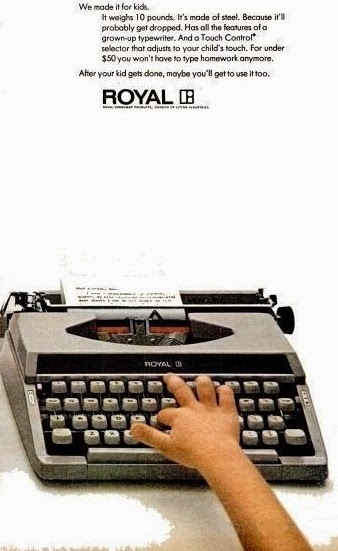 Tom - very heavy nationwide (US) advertising for it starts in February 1964, raised top section, $36.97 to $39.97, $49.95 from one retailer, Pica font, aimed at college and high school students ("College keyboard"), price drops to $33 in some instances 1965. 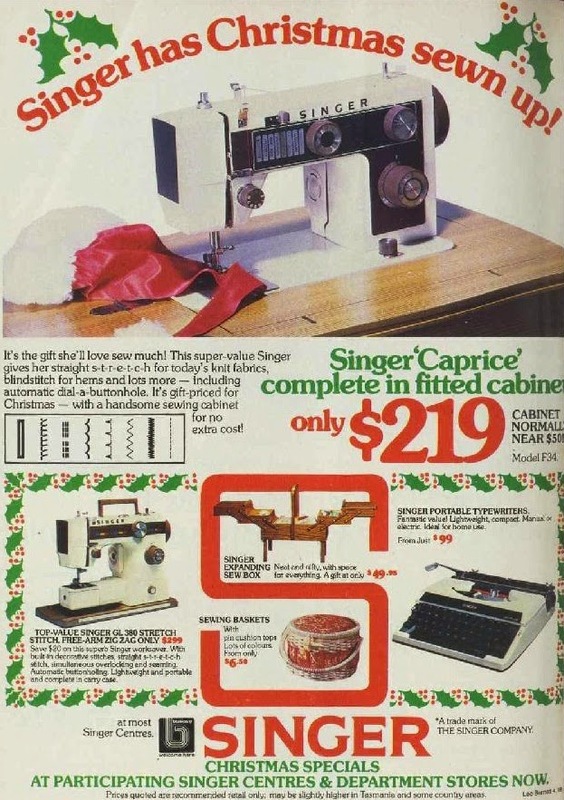 These seem to be the only two years it was advertised, all ads from department stores.